Probate is the legal process by which a deceased person's property passes to beneficiaries. Although most beneficiaries accept the gifts the decedent has left them, they may not want to in all cases. There might be tax implications, or you may simply not need the gift and know another beneficiary needs it more. Disclaiming or declining a bequest isn't difficult. The gift will pass to another heir or beneficiary according to the terms of the decedent's will or trust. If you inherit cash, this isn't taxable as income, but a significant gift can add to the value of your own estate, bringing estate taxes due at the time of your death. If you've been willed a home and already own one, you might want to sell it if you accept it, and this could result in capital gains tax. The issue could be as simple as your sister, a single mother, struggling to get by, and you'd much rather see her have the property, or you know that if you accept the gift, your creditors will take it. If you don't want the gift, you must simply state this in writing and give the disclaimer to the executor of the estate or the trustee of the trust. Unfortunately, most states will not allow you to decide who gets the inheritance you've disclaimed. When you renounce the gift, it goes back into the decedent's estate just as though you had predeceased him. Who ultimately ends up receiving it depends on the terms of the will or trust. If you really want to make sure your sister gets the house, you may have to accept the gift and transfer ownership to her, but this will most likely result in a gift tax to you. In most states and under rules set by the Internal Revenue Service, you must disclaim an inheritance within nine months of the date of death. If you're under 21, you have nine months from the date of your 21st birthday. You also can't use the property in any way, so the longer you wait to disclaim it, the more of a gray area you might find yourself in. For example, you can't live in the property for a month, then decide to give it back to the estate, even if you're well within the nine-month deadline. If you inherit cash, you can't put it in a bank or investment account for eight months where it's earning interest, then decide you don't want the money. You must also decline the entire inheritance, not just a portion of it. An intestate estate is one where the decedent did not leave a will explaining who he wants to inherit his property, and he did not leave his property in trust. In this case, beneficiaries are determined by state law, but the estate must still pass through probate. 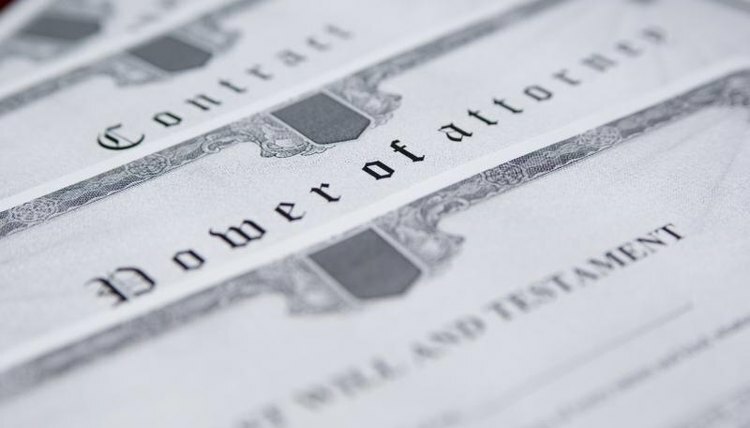 The process of disclaiming an inheritance is the same, but the estate may have a personal representative or administrator appointed by the court instead of an executor. You can give your disclaimer notice to whomever the court appoints to settle the estate. The same time frames and rules about use would apply. Your gift would pass to the next relative in line according to your state's rules for intestate succession -- a list of people entitled to inherit because they're related to the decedent by blood or marriage. Aberdeene, Jason. "What if Someone Is Willed Something in an Estate but They Refuse to Accept It?" , https://legalbeagle.com/12152846-someone-willed-something-estate-but-refuse-accept-it.html. Accessed 25 April 2019.